Author of The Alchemist , Paolo Coelho, recently shared this story of a philosopher strolling through the forest with a disciple, discussing the importance of unexpected encounters. According to the philosopher, everything around us provides us with an opportunity to learn or to teach. The philosopher thanked him for this information, looked at the place for a few moments and then left. Having no alternative, the young man did as he was told, and the cow fell to its death. “What happened to the family who used to live here ten years ago?” he asked. I love this story as it reminds me that sometimes we can become reliant on things that hold us back. Sometimes we need to leave behind habits, perspectives or jobs to reach our full potential. 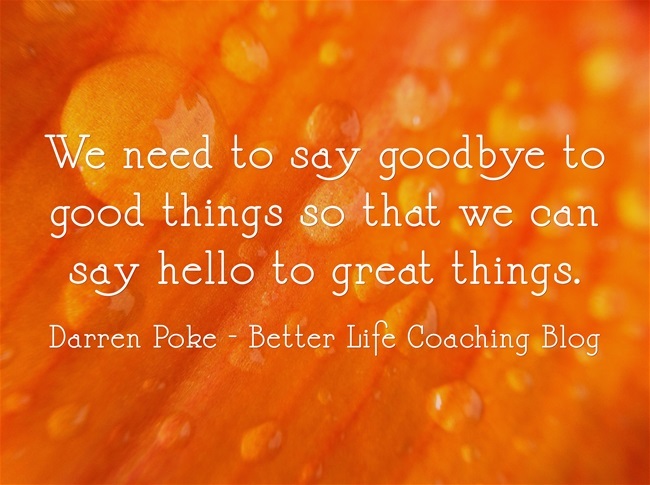 We need to say goodbye to good things so that we can say hello to great things. Is there a cow that you need to push over the edge?